Nordic Capital Fund VIII (“Nordic Capital”) has signed an agreement to divest logistics company Unifeeder Group (“Unifeeder”), the largest pan-European feeder and growing shortsea operator, to DP World for EUR 660 million1). During Nordic Capital’s five year ownership, Unifeeder has developed to become the largest and best connected feeder and an important and growing shortsea network in Europe, serving both deep-sea container hubs as well as the intra-European container freight market, providing industrial companies with door-to-door containerised freight transportation. Founded in 1977 and headquartered in Aarhus, Denmark, Unifeeder has approximately 400 employees in 25 countries. The company is a highly-regarded leader in complex transport logistics, simplifying the tasks of choosing and managing supply chains by providing efficient and sustainable transport solutions. 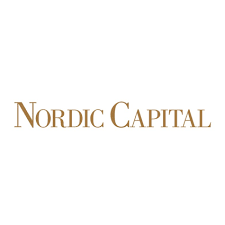 Nordic Capital acquired Unifeeder in 2013 and since then has supported the company in its successful acceleration of organic and acquisitive growth, bolstered by a regional restructuring, the introduction of a new shared service centre and significant operational improvements. During these five years, Unifeeder has successfully secured market share gains through an improved and expanded offering which has driven increased volumes into commercial feeder markets and sustained high growth in its shortsea business. Today, Unifeeder’s network spans more than 100 ports in Northern and Western Europe, the Mediterranean (including North Africa and the Middle East) and the Black Sea. Nordic Capital’s successful strategy of building stronger companies and making them strategically attractive to industrial buyers is evidenced by Unifeeder’s sale to DP World. It marks the fourth exit by Nordic Capital Fund VIII in the last 12 months, following the successful sale of AniCura and Bambora to international trade buyers, and the merger of Lindorff and Intrum Justitia. “Unifeeder has significantly expanded its network, service offering and go-to-market model in recent years. Unifeeder is now a clear market leader in many aspects and stands stronger than ever; a great example of how Nordic Capital applies its Ownership Excellence approach to successfully building stronger companies and making them attractive for future owners. We are pleased that DP World has recognised the continued strong growth potential in the company. Nordic Capital would like to recognise the excellent partnership forged with management and the Board of Directors in making Unifeeder’s journey a clear success story, which can now continue with a new strong owner in the form of DP World,” said Lars Terney, Partner at the Advisor to the Nordic Capital Funds. “Under Nordic Capital’s ownership, Unifeeder has grown to become the largest independent pan-European feeder and growing shortsea operator with the industry’s best-connected network. Nordic Capital has been instrumental in supporting the company during this development in the spirit of a true partnership,” said Jesper Kristensen, CEO, Unifeeder. “We are delighted to add the Unifeeder brand under the DP World umbrella, which supports our strategy to grow in complementary sectors, strengthen our product offering and play a wider role in the global supply chain as a trade enabler. The ever-growing deployment of ultra-large container vessels has made high-quality connectivity from hub terminals crucial for our customers and Unifeeder is a best-in-class logistics provider in this space with a strong reputation in Europe. Our aim is to leverage on the in-house expertise of Unifeeder and to accelerate growth in this scalable platform to deliver value for all stakeholders,” said Sultan Ahmed Bin Sulayem, Group Chairman and CEO, DP World.